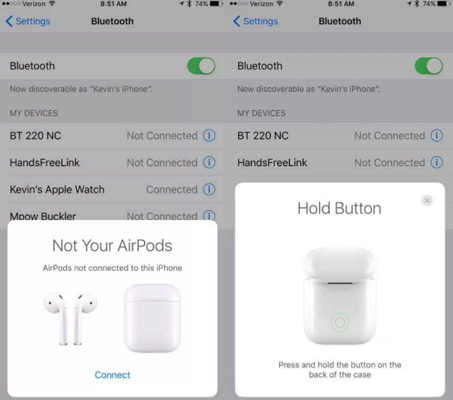 If you have been using AirPods and often find the message that “AirPods won’t connect on the iPhone”, you do not need to press the panic button right away. First of all, you will need to check the hardware and software requirement and if everything is fine, still the connection is not being set, we will be offering you effective tips which should work the trick for you. So, let us see precisely why the AirPods is not connecting to the iPhone and how you can remedy the situation. The basic requirements which you need to meet when using AirPods is listed as under because they are not compatible with all Apple devices. 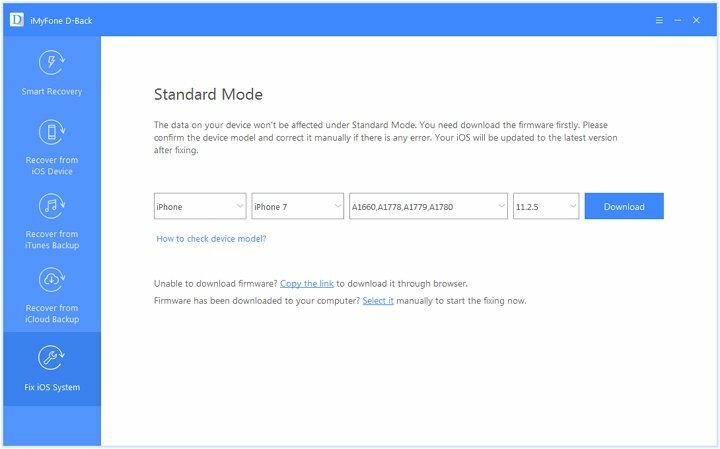 Your Apple device (namely iPhone, iPad or iPod touch) should work on iOS 10.2, iOS 11 or later. If you want to use it with your Apple watch, it should run on watch iOS3 or later. If you want to use it with your Mac, it should have MacOS Sierra or later. If all this seems to be fine, let us see the next steps to fix this problem. Part 2. How to Fix AirPods Not Connecting to iPhone Issue? Sometimes, all you need to do is to turn the Bluetooth on and this helps in connecting Bluetooth devices easily. Let us see how you can do that. If you find that the switch present next to the Bluetooth option is green, it means that your Bluetooth is on. If the switch appears gray, you should tap the switch and it will turn green upon sliding. It is important that you set up the AirPods an articulate manner or else the connection won’t be apt. Here is how you can do them. These steps will ensure connection of your AirPods to your iPhone. If the charging case or even the AirPods get dirty; it will hamper the functioning of the device. So, you should keep it clean and here is how you can do it. Take a lint free cloth and make sure that it is thoroughly clean. New, slowly wipe both the charging case and the AirPods. You can use a new toothbrush for deeper cleaning. Make sure no moisture enters the device. 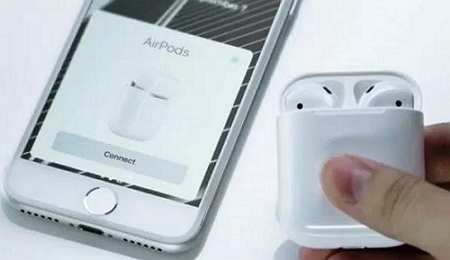 Bluetooth is the technology that is used for connecting the AirPods to the iPhone. So, let us see how you can do that. Head to ‘Settings’ and then tap on ‘Bluetooth’. Now, under the list ‘My Devices’ choose the Bluetooth device which you want to pair. 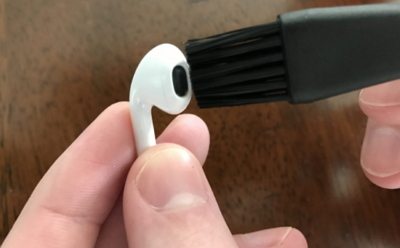 In this case, it will be the AirPods. If there is a password enable, you will be prompted to enter it. If you find ‘connected’ written next to the device, it means that the device has been connected. Make sure to keep the device within the range of your iPhone. If none of the steps are working, you may need to repair your iPods here. Here are some of the ways you can use. If you still have the return option open, bring them back to the store and exchange them. If your return window has lapsed, you can use Apple’s online support, make an appointment at the local store or even set an online mail in repair as well. Sometimes the real problem as to why AirPods are not connecting is because of the system iOS error on the iPhone. 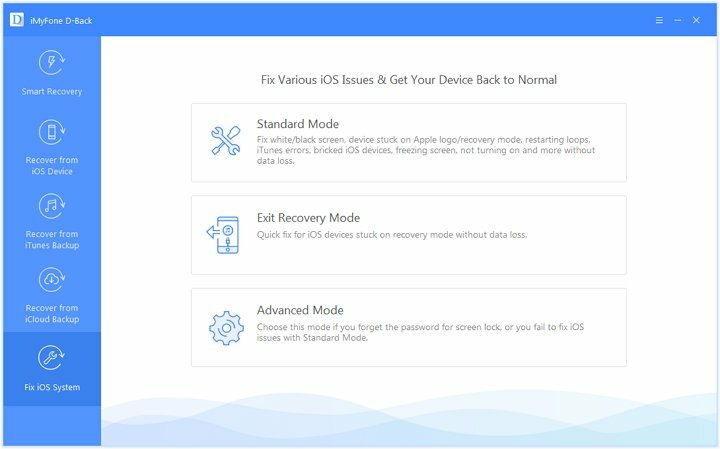 So, you can make smart use of iMyFone D-Back iOS System Recovery to fix this issue.The remarkable ease of use and effective features make it a recommended tool. It comes with 3 different recovery modes and you can also opt for a partial recovery tool. It helps in easy retrieval of lost or deleted data from your Apple devices. It also gives you the option of selectively restoring the data and previewing them before you save them to your system. It is compatible with almost all iOS devices with iOS 11/11.1/11.2 version, including iPhone X, iPhone 8, iPhone 7, etc. 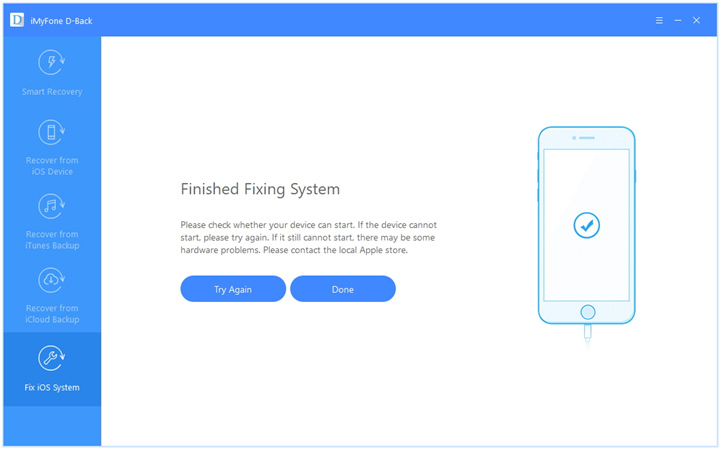 With these steps, you can fix the iOS issues with iMyFone D-Back iPhone data recovery tool. 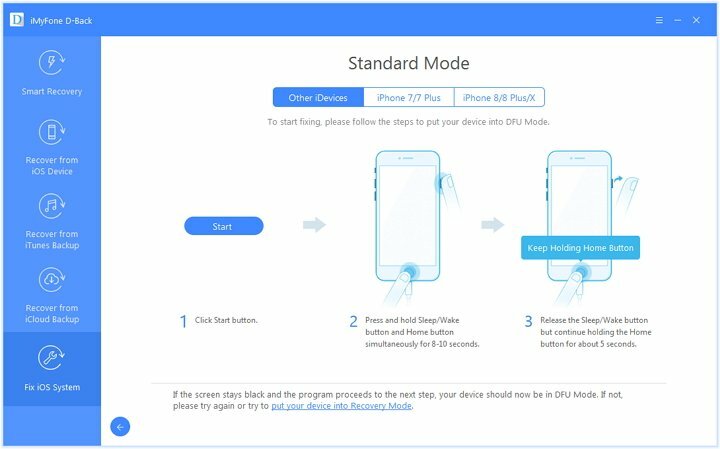 Now, connect your iPhone to the system, choose the ‘Standard mode’ from the three available options and you will be prompted to enter the DFU or the recovery mode. When the firmware has been downloaded, you need to click on ‘Start to fix’ and the program will fix any problems, click on ‘Done’ to finish the process. With these series of steps, you should be able to fix the issue. These are some of the different steps and solutions you have. With the application of some or all of these steps, you should be able to fix this problem for sure.